The Vine January 2016 - Farmer & Chef Networking Series, Ag & Food Conference, SEMAP Spotlights, + MORE! The time I spend directly on the farm is the most important (as well as my favorite) part of my work at SEMAP. A perk of the job is to be able to buy at all the farm stands and farmers’ markets. Buying food locally is a crucial aspect of community building. We hear many reasons why local food is important but the community aspect has one of the most far reaching results. In an increasingly mistrustful and cynical world, local food puts a human face on our food system, builds connection to our farmers, and generations can experience time-honored traditions of grower and eater. Communities support their farms but farms also support their communities. There is something special when we are able to see the person producing our food, asking questions about how it was grown or raised, and how to prepare it. Having our neighbors growing a diversity of food helps a community survive and thrive in good times and in bad. Click here to continue reading. When I tell most people that I work supporting local farms, they often assume that I’m twiddling my thumbs through most of the winter, which couldn’t be further from the truth. 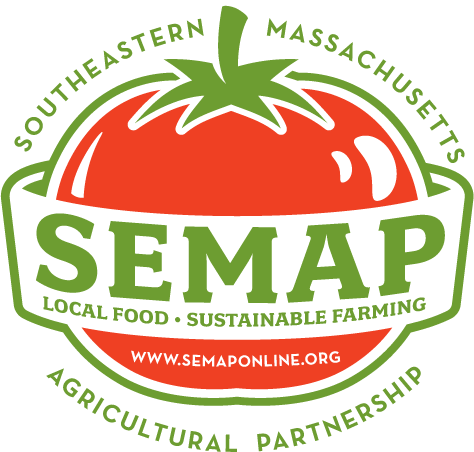 This is the busiest time of year for us over at SEMAP and all of our hard work really translates into some great events! Help us get to 3,000 Likes! Billingsgate Farm hiring. Many positions available! More information. Sid Wainer seeking assistant farm manager. Details. Langwater Farm hiring field crew members and farmstand workers. More here.